Mermaid Sirena Magdalena in Santander Spain. Photo by Mayte Vidal. There is a story that goes with this: In the nineteenth century the peninsula had little on it apart from a small church or chapel dedicated to Saint Magdalena, after whom the Peninsula was named. In 1908-1912 the Palacio de la Magdalena (Royal Palace of La Magdalena) was built as a vacation home for the Spanish Royal family. The entire peninsula is now a park, containing the renovated royal palace, a zoo, some statues of famous explorers, and more. This includes 3 ships built by Vital Alsar Ramirez as replicas of the 3 vessels used by Christopher Columbus to sail to the new world in 1492. One of these replicas is the Marigalante, made to be a replica of the Santa Maria, Columbus’ flagship, of which Juan de la Cosa was the captain and owner. Research indicates that the crew referred to the Santa Maria as “Marigalante”. 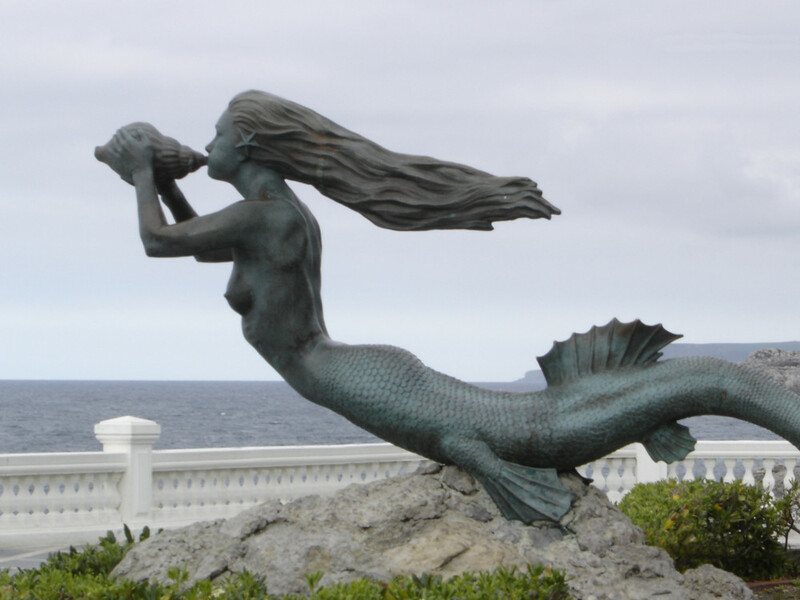 Vital Alsar built the Marigalante in Mexico in the 1980’s, with the mermaid statue as its figurehead. It is the original figurehead on display in front of the 3 ships, on the Magdalena Peninsula. Mascarón de proa original de la Marigalante, que fuera construida en Alvarade, Veracruz, México, en los años 1980 – 1987, rememorando la que perteneció a Juan de la Cosa, cartógrafio del primer Mapa Mundi incluyendo América, realizado en el ano de 1500 embarcación que se hundiera en haiti el 25 de Diciembre de 1492, comandada por Cristobal Colón, con el nombre de santamaria. Regresó a su casa Santoña, Cantabria, 500 años despues para homenajear asi a tan egregio marino. Mermaid statue “Sirena Magdalena” in Santander Spain. Photo by Mayte Vidal. 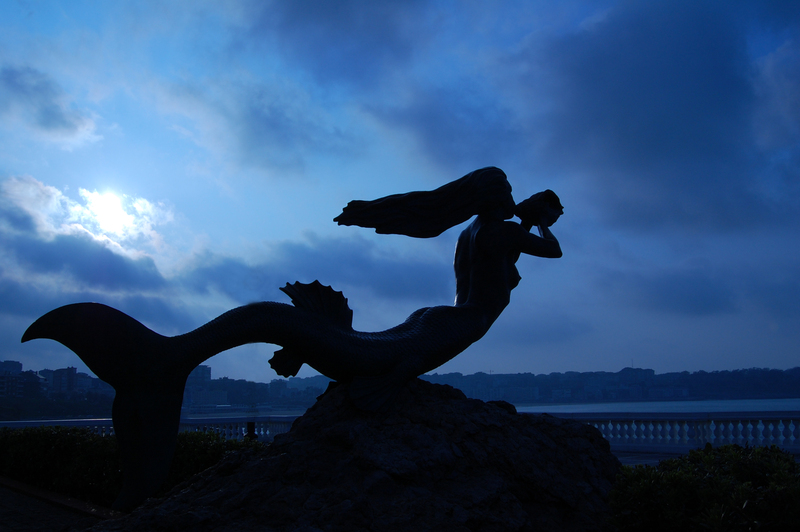 Mermaid statue “Sirena Magdalena” in Santander Spain. Juan Pablo de la Cruz Gutierrez. 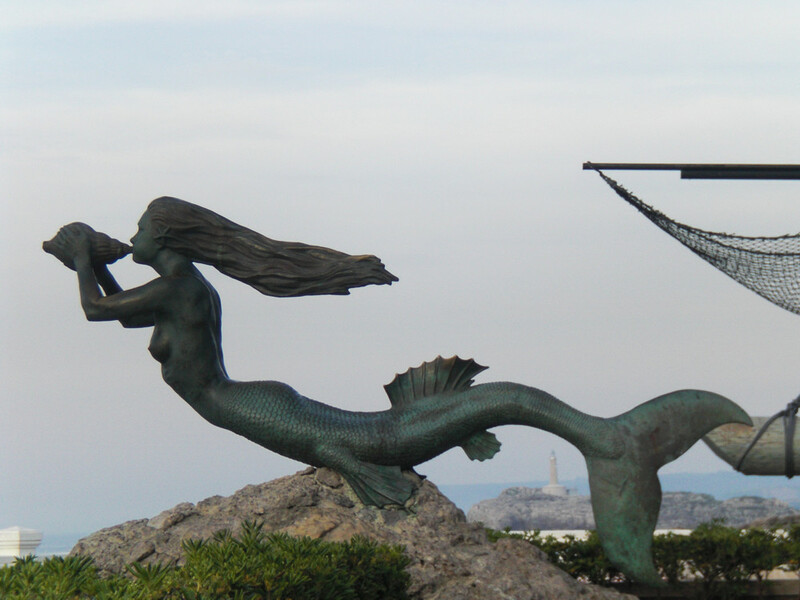 Mermaid statue “Sirena Magdalena” in Santander Spain. Photo by Obiwan2208. 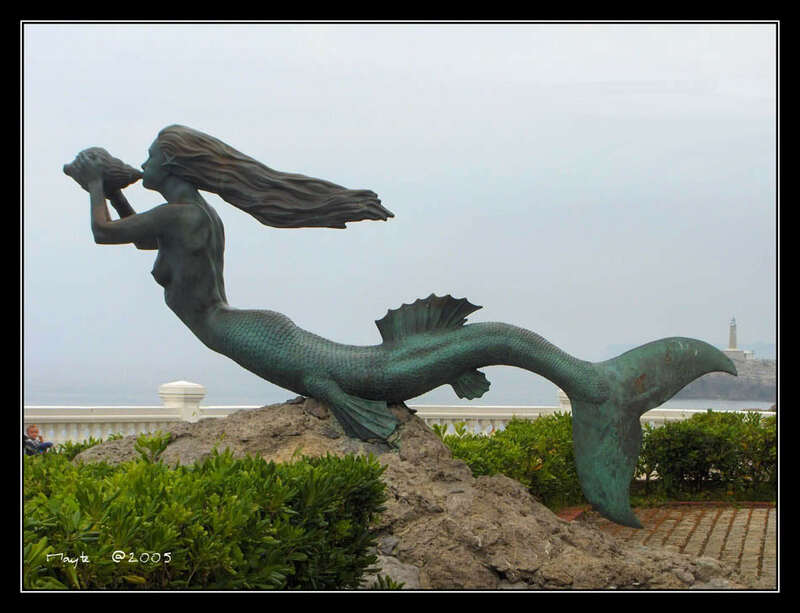 Mermaid statue “Sirena Magdalena” in Santander Spain. Photo by Sergio Jato. 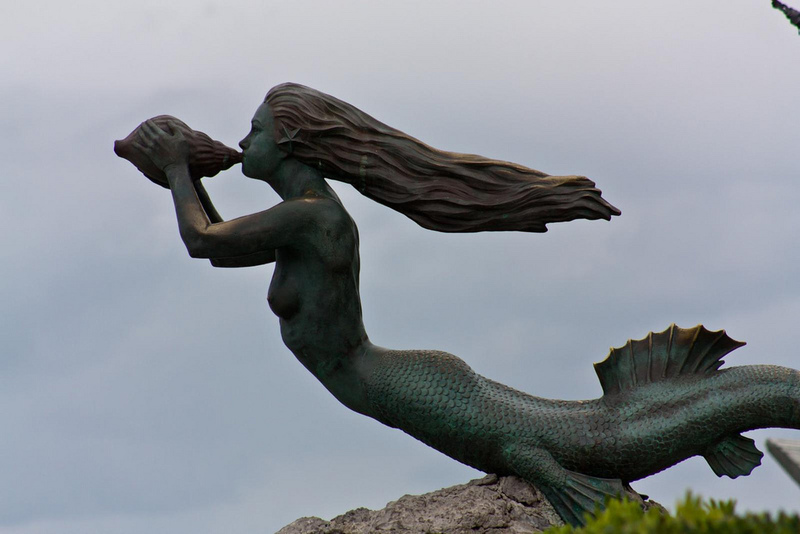 Mermaid statue “Sirena Magdalena” in Santander Spain. Photo by M. Rivas. 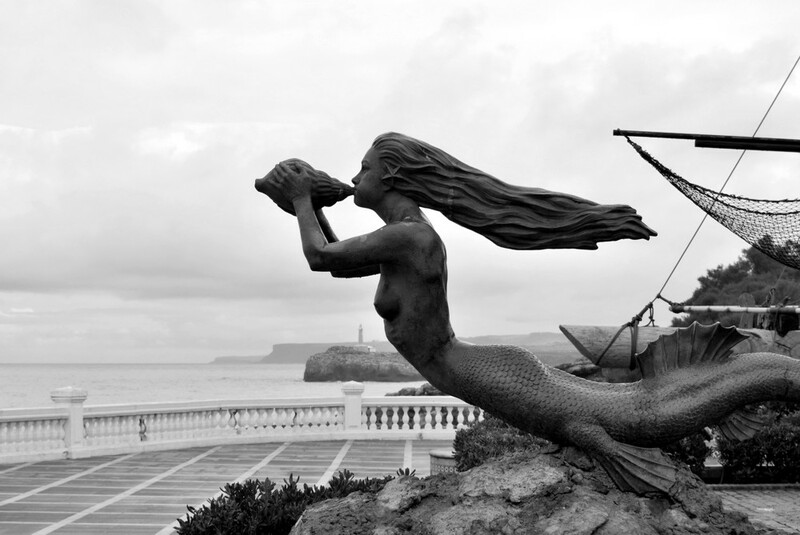 Mermaid statue “Sirena Magdalena” in Santander Spain. More data is needed on this mermaid statue. If you have relevant information, please contact us.